"I always say, when I grab a stick, I get a bunch of good ideas." 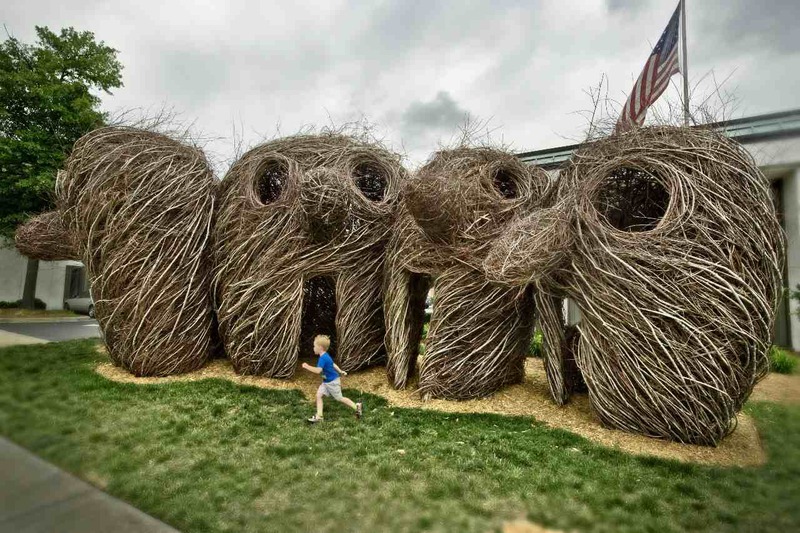 That is how Patrick Dougherty of Chapel Hill explains the hundreds of dwelling-sized stick sculptures he's created over the last twenty years. Dougherty is the subject of a new documentary, "Bending Sticks," that is currently screening in cities around the country (the nearest screening to Boston is in New York on October 19). 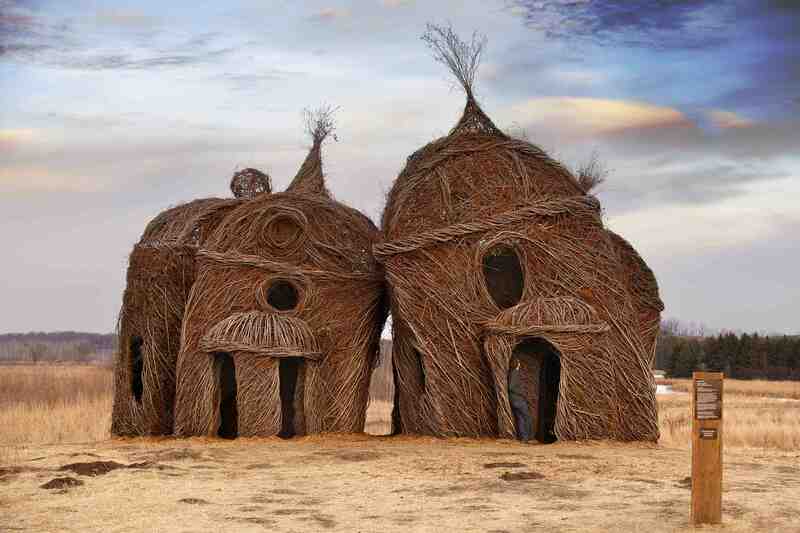 As he explained in an interview last year, it takes him about three weeks to choose a site, collect nearby saplings, and build each of his folkloric constructions (often with the help of local volunteers). 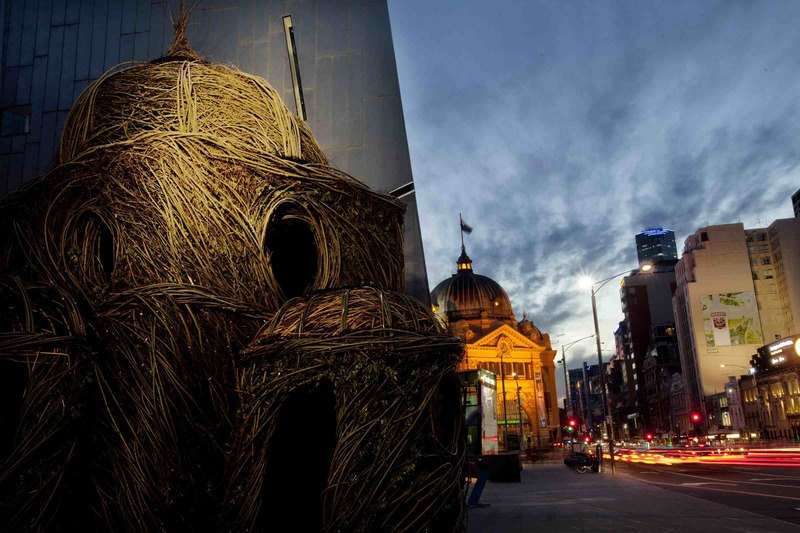 Dougherty's sculptures are enchanting and striking as art, but still, it's impossible not to think about them the way you would have as a child: How cool would it be to build that! Image credits, from top: "Little Ballroom" (2012), photo by Megan Cullen; "Lean on Me" (2012), photo by Thomas Oâ€™Laughlin; "Ainâ€™t Misbehavinâ€™" (2010), photo by Zan Maddox. A blockbuster about Plato, starring Brad Pitt?